A noun phrase consists of a main noun, and any words or phrases that describe or modify the main noun. In Chinese, all noun modifiers occur before the main noun. In English, for the Verb Phrases and Preposition Phrases examples above, e.g. the modiﬁer occurs after the main noun as a relative clause introduced by a relative pronoun (‘who,’ ‘whom,’ ‘which’) or a complementizer (‘that’). However, in Chinese, all phrases/ clauses that describe or modify the main noun should precede the main noun. There is no words that correspond to relative pronoun (‘who,’ ‘whom,’ ‘which’) or a complementizer (‘that’) in Chinese. I am just giving a brief and short lessons in Chinese Sentence Structure and Word Order. 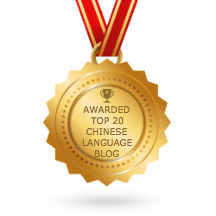 I hope it would be useful to all of you who are learning Chinese. Can you help me understand this sentence?他要表演变魔术｡ Is there any change in meaning if I leave out 变？(他要表演魔术｡). What is the function of 变 in the sentence? Thanks, Min Min. You are my respected teacher and you will always be my teacher.